If you are feeling stressed out with your daily routine then you should head to a yoga retreat. You can get a spa break and get some much-needed pampering for your body. Wellness Centers in India have taken luxury spas and medical tourism to the next level. 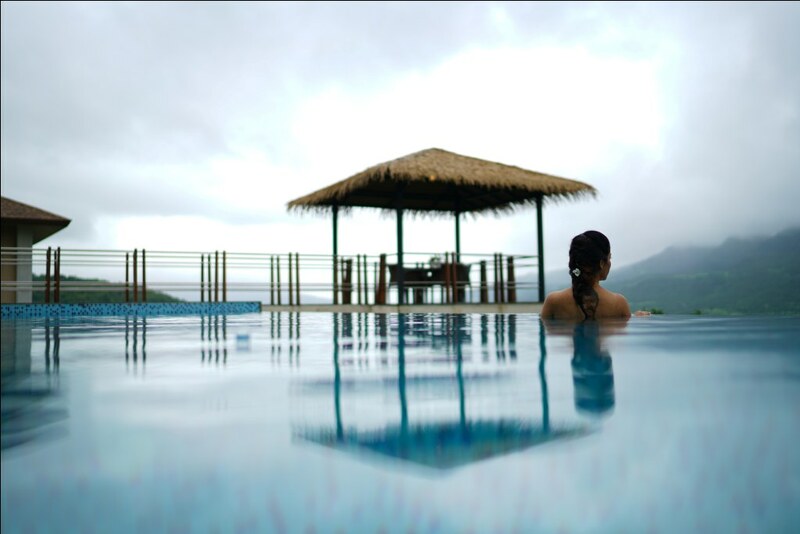 One such great retreat is Atmantan, located in Tahmini Ghats near Pune. Atmantan is an integrated wellness destination spa and is one of India’s most luxurious, at that. Living up to true Indian hospitality, Atmantan exceeds expectations in terms of luxury, service, and quality. It is a wholesome amalgamation of pampering the mind, body, and soul. Their special ‘farm to fork’ cuisine is curated to satiate our taste buds as well as nutritional needs. They provide fresh ingredients sourced from local farms, free of preservatives and other unnatural additives. The retreat is located in the mighty Sahyadris near Mulshi, surrounded by 42 acres of lush greenery. Atmantan Retreat is an excellent destination for health and wellness lovers! Apart from the location, the resort also had plenty to offer from its wide range of wellness and yoga programs. Sometimes we seek a new way of living, the right formula for wellness, wherein we can undo our erroneous lifestyle choices and adopt a healthier and happier daily routine; if you wish to make this auspicious beginning in your life, then Atmantan Living is the path you must follow! Individuals without any prior experience of wellness destination living can delve into a world of health and spa cuisine. You can embrace a relaxed, natural and organic way of living in the midst of soul rejuvenating scenery, to attain greater harmony with self. Experience complete envelopment of the senses! Here you experience the refined wellness offerings of their Signature Massage, the holistic anti-aging facial and an in-depth Postural Integration. For spiritual restoration, you partake in the sacred Taoist Chi Nei Tsang therapy, Pranic Healing, and breathing techniques. Discover spa cuisine that brings you delightfully fresh and healthy living food, from the organic farms straight to your plate. This synergistic integration of selected therapies and spa cuisine will lead you on your long-awaited path to true wellness. A way of living that you yearned to discover and one that empowers you to be transformed. This is for you when you are looking for some me-time and just want to relax. You can experience the ultimate in pampering with organic plant-based formulas and rich nutrient-infused spa cuisine. This spa journey with our restorative collection of regal treatments including daily massage, body polishes, and holistic therapies. Therefore, gently melt your stress away and give you a visible transformation. The extracts are the most refined and wild crafted botanical extracts rich in Pranic life force, that enable true healing. Restorative anointments and cocoons invigorate and nourish your body, mind, and soul as your senses are realigned to a more peaceful and calmer way of living. Self-indulge in an exclusive holistic anti-aging facial that softens, smoothens and brightens the skin. You can reduce your exposure to harmful toxins, fight free radical damage, and partake the organic nutrition from our exclusive spa cuisine. The Spa Life retreat will let nature provide your body with all that it needs to regenerate and heal. Spa Life is the journey of ultimate luxury and pampering in the secluded and tranquil valley of Atmantan. If you are looking to delve into pure health enhancement benefits gained from detoxification, then the Master Cleanse is the retreat for you. Immersed in traditional naturopathic principles alongside modern cleansing sciences, the Master Cleanse provides prime cellular detoxification of body, mind, and soul. This experience is a synergistic formula for resetting the organs and systems of the body through cellular cleansing and toxin elimination; they put you through treatments that promote effective detoxification, ranging from the Hot Stone Massage to the art of open colon hydrotherapy and to providing you with the specialized Taoist Chi Nei Tsang treatment, which in itself has become the benchmark for detoxification worldwide. The Detox menu involves body cleansing as a gradual process of transition from solid foods to a liquid diet, ensuring gradual adaptation for the body to the recommended diet! The retreat facilitates the cleansing of your emotional knots, unclutters the mind, while leading you to benefits of improved sleep, increased immunity and permit your body to self-heal. Weight issues are many a time the culmination of the mental and emotional self; these factors impact our self-worth and appearance, demotivating us from achieving true health. The Weight Balance retreat gives you the opportunity to kick-start a new way of thinking, make self-enhancing lifestyle choices and consequently become empowered to positively change your life! Beginning with an in-depth fitness Assessment with VO2 Max that helps determine the optimal workout program suited to your anatomy, their international team of fitness and movement instructors then guide you through a diverse and inspiring exercise regime. The practitioners are here to support and assist you through your various levels of functional training, kickboxing, hiking, strength training, pilates, cross training or anti-gravity forms of exercise. If you are looking at deepening your current practice of Yoga or maybe even looking at starting anew on the inspiring path of Yoga, then the Journey through Yoga retreat will provide you with the right guidance to the principles of Yoga and help you experience its wonderful lifestyle benefits. The Journey through Yoga incorporates various traditional Ayurveda principles of your Dosha/personality type analysis. These are followed up by an array of therapies ranging from the Choornaswedana, Meditation and Private Breathing, to the Deep hands massage, Foot reflexology, and Pranic healing, all of which subtly work in unison to boost your cleansing levels and re-align the senses. Asanas and breath work along with traditional meditation practices are carefully constructed for you through private yoga sessions. These will enable you to experience the true art of healing and happiness first hand. As you become proficient, you can carry forward this learning of the art of yoga, into your everyday life. Honoring India’s ancient Vedic practice of healing, this traditional Ayurveda Panchakarma retreat is a journey of self- discovery, cleansing, and awakening of your healing energies and senses. Under the care of a highly skilled Ayurvedic Doctor, your Dosha or personality type will be diagnosed; based on this Dosha, a personalized daily treatment schedule and nutrition shall be prescribed. This combination of Dosha specific treatment and cuisine enhances the effects of this healing tradition. The treatment oils are freshly prepared and follow the traditional method of use. The therapies would include the varied forms of Shirodara, Kativasti, Januvasti, choorna swedana as well as Yoga. Herb and steam baths will compliment the purification processes of the body, these therapies would be individually prescribed, monitored and changed daily depending on the guest’s receptiveness and tolerance. There is a multitude of factors that disturb good health and wellness; environmental pollutions and oxidative stress or trauma contribute to the onset and progression of illness in life. The Holistic Health retreat is the crucial first step towards wellness, that helps you combat these factors. The course incorporates a diverse range of natural therapies, researched spa treatments, regular movement and mindfulness practices. The Health program will guide you to self-discovery, empowering you to unlock your own body’s natural abilities to self-heal. This retreat focuses on energy medicine and natural therapies. These include Pranic healing, and traditional Chinese medicine’s acupuncture, cupping, and moxibustion. Most of them will help surge the body’s healing potential and promote the flow of good chi. Even the meditation and breathing exercises you partake in work towards calming the mind, improving sleep patterns, and restoratively healing you. Experience the unique juxtaposition of intensive personal training with deep tissue massages that tone and enhance your muscle recovery! The retreat also puts you through core postural assessment and physical alignment, carried out by our physiotherapists. The collective rewards of all your practices at Atmantan will then be with you long after you return home! Therefore the next time you are looking at destinations near Pune, Atmantan is a must visit for you. Apart from their wellness courses, it is also a great luxury weekend destination resorts in Maharashtra! We reviewed another yoga retreat close to Mahabalipuram and you can check them out here.